For those of you just checking in...Here is what I'm doing this season. My name is Blake and I'm a huge sports fan. Baseball is my favorite, but I do love football and basketball as well. 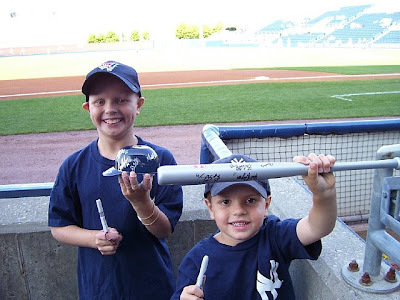 At the age of 1 I was diagnosed with alopecia areata and have been pretty much bald my whole life. I tell my friends that my body is allergic to my hair. I see kids that raise money for their charities and wondered what I could do. My brother Gavin and I love to get autographs and have over 1,000 autographed cards that we've gotten over the last several seasons. 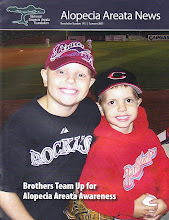 This season I will be donating $.05 for every card or item we get signed to the National Alopecia Areata Foundation. That may not sound like a lot to you, but I'm only 10 years old. Also, my parents are going to double my donation and my grandparents have said they will help out too so I hope to raise a lot of money for alopecia. I've already received a great amount of support from Minor League Baseball and also some Independent League Baseball teams. Also, there is a possibility of getting some things signed that I will auction off for charity. I will keep you posted on that. Follow along and I'll see you at the ballpark! 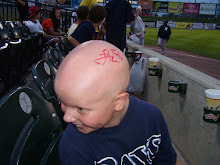 If you have any questions about my adventures or alopecia, feel free to contact me at blakelovesbaseball@yahoo.com.